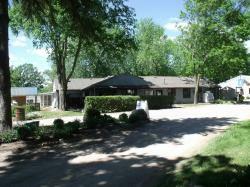 Friendly acres is situated on the Trent-Severn waterway with access to 387 km of boating. 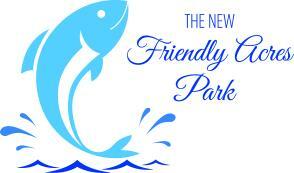 If you prefer fishing, boating or just relaxing by the beach, Friendly Acres is for you. It has a heated pool with with a shelter area, store for supplies, and a rec hall to play cards, play games, or dance to a DJ. There are also plenty of activities within the campground to enjoy at your leisure...all ages can join in on the fun of playing volleyball, horseshoes, ping-pong, or play on our playground swings. 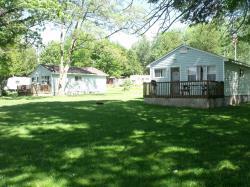 If you want a family campground, you have to come to Friendly Acres as there are lots of children to play with. 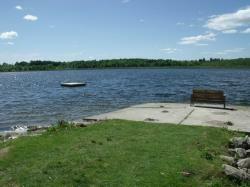 Friendly Acres features over 100 serviced sites with some overnight camping sites available. Right now we have full service sites with 30 amp hydro, sewer, and water. A new section of docks have been installed. Northern Pike: Open all year. Yellow Perch: Open all year.